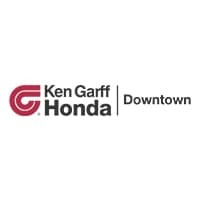 Ken Garff Honda Downtown’s Service Department is is the best place to service your vehicle. Whether you’re in need of regular mile-stone maintenance, an oil change, or auto repair services, we have the facility, technology, and knowledgeable staff needed to help you. You can schedule your service online with one of our Service Advisors. Ken Garff Honda Downtown’s team of technicians, including ASE certified technicians, are here to address your service needs. Our team is trained to accurately diagnose any issues your vehicle may have. We understand how important your car is to you and will try to service your vehicle as quickly as possible. Save 45% on synthetic, semi-synthetic, and diesel oil changes, tire rotations, and car washes when you become an AdvantageCare member today. Don’t forget to browse our Service Coupons to find special offers on oil changes and other great deals. If you’re in need of a rental car – look no further! We offer a wide variety of cars for you to choose from while your car is getting serviced or repaired. So if you need to service your Accord, your Civic, your Pilot, or any other Honda model, think of Ken Garff Honda first, and feel free to save valuable time by taking advantage of our friendly Online Service Appointments. From Salt Lake to Kearns, we are the best! If you need a simple oil change we’ll make sure to help you out the same day, and only with the proper products as specified by Honda. Just give us a call!